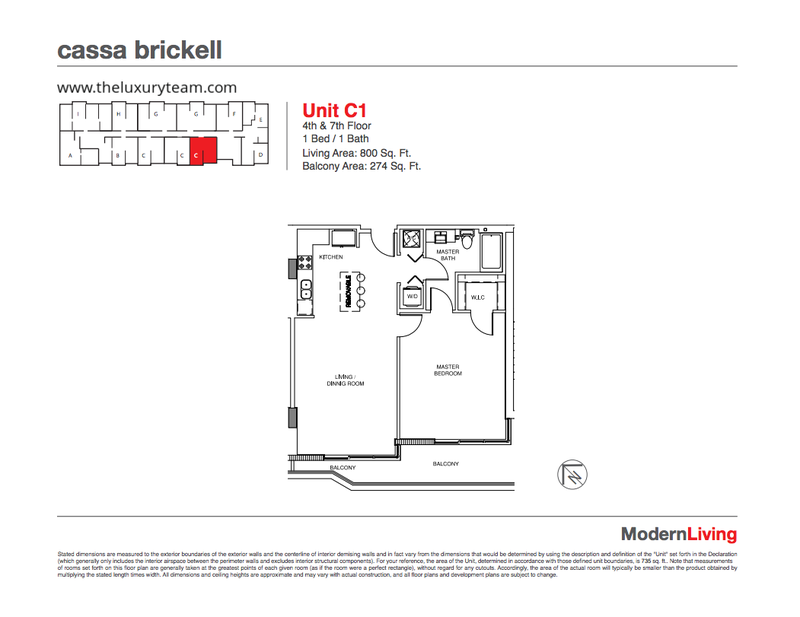 Cassa Brickell in Miami, Florida is a brand new boutique-living community built in the southeast section of the Brickell neighborhood. 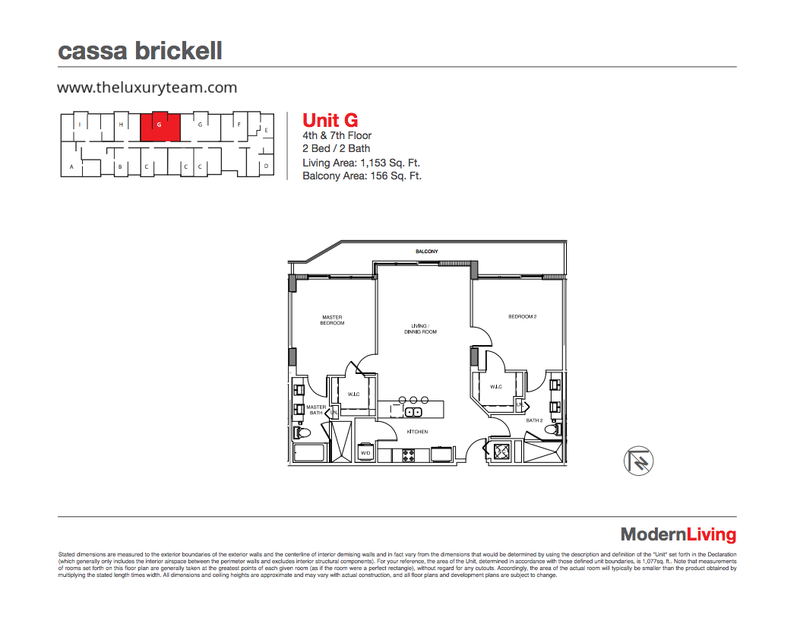 Brickell is a popular and affluent area of Miami and is at the center of the Latin American culture and influence of the region. 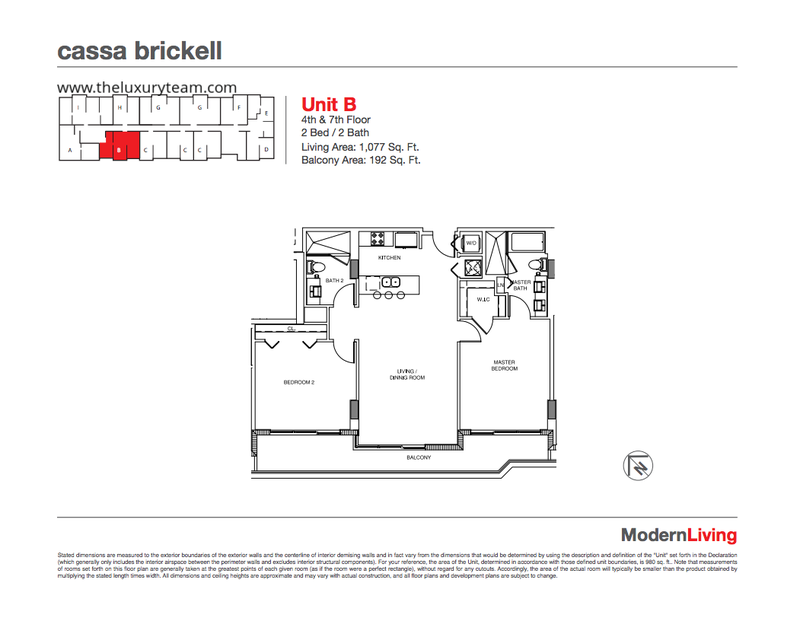 Cassa Brickell’s location brings residents close to the action while being tucked away at the same time. Heading this project is TSG Paragon Development, a company that is known for creating exceptional mid-range residential communities in upper middle-class neighborhoods. This community is still under construction and is set to be completed in summer of 2016. 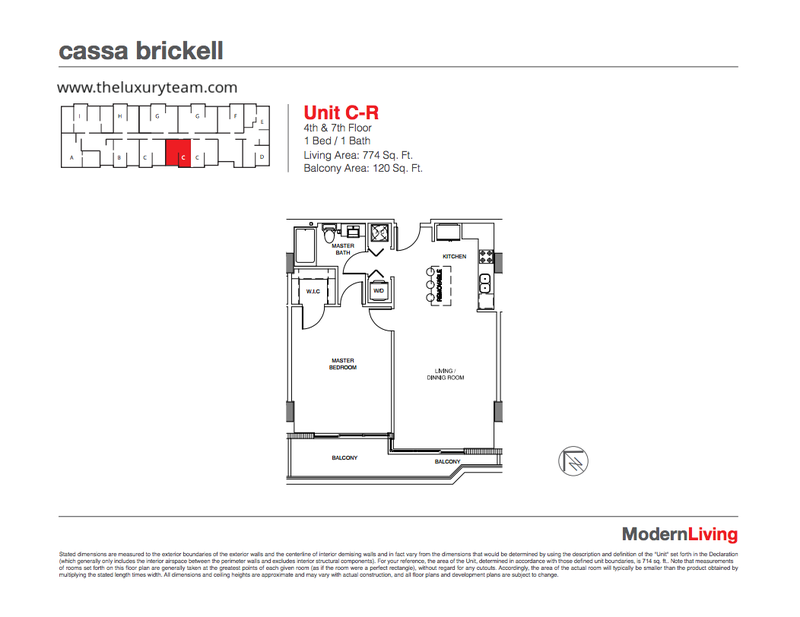 Cassa Brickell will be 10 stories high and include 81 luxury units. 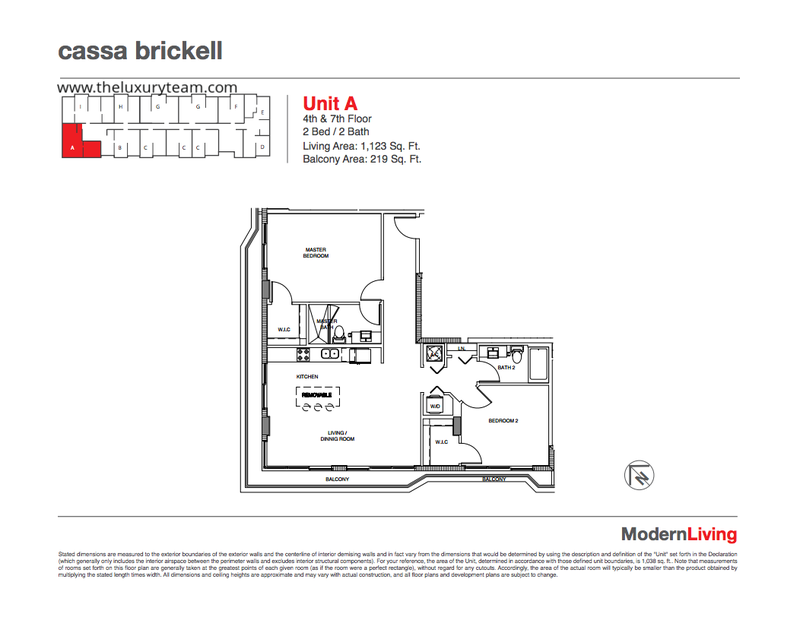 These 1-3 bedroom condos will be available with between 786 and 1530 square feet of living space. 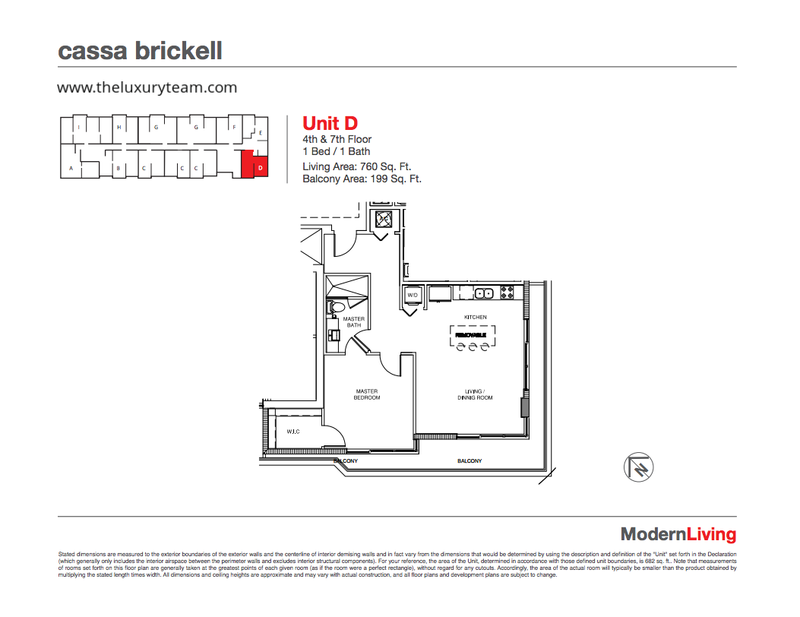 Cassa Brickell aims to be a boutique community that offers an exclusive and personalized living experience. 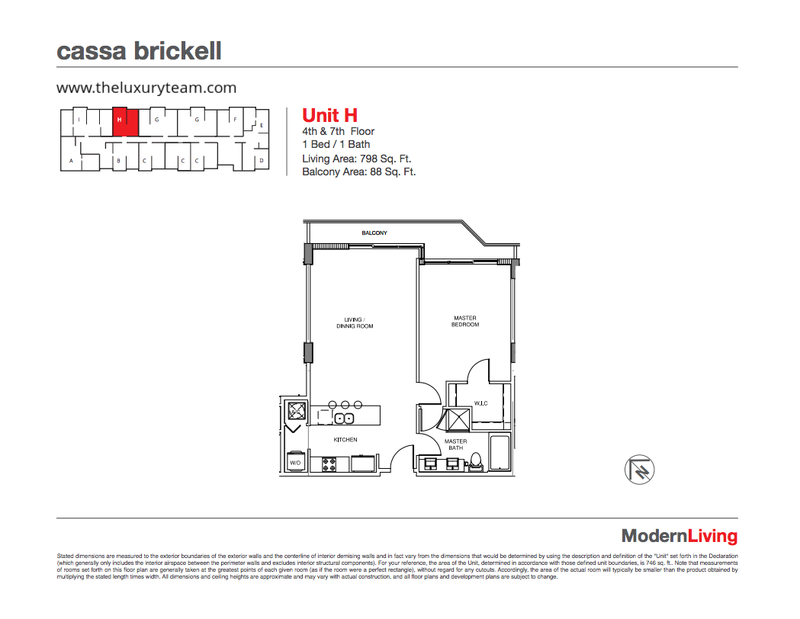 Residents will enter into a beautiful lobby and take a high-speed elevator up to their condo. 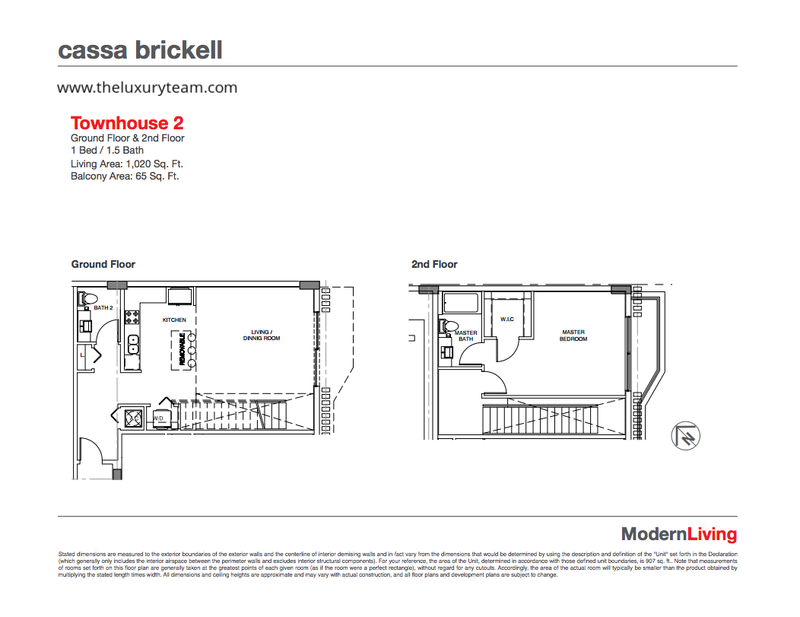 Each unit will feature a balcony with views of the city or the bay and comes standard with hurricane-impact windows. 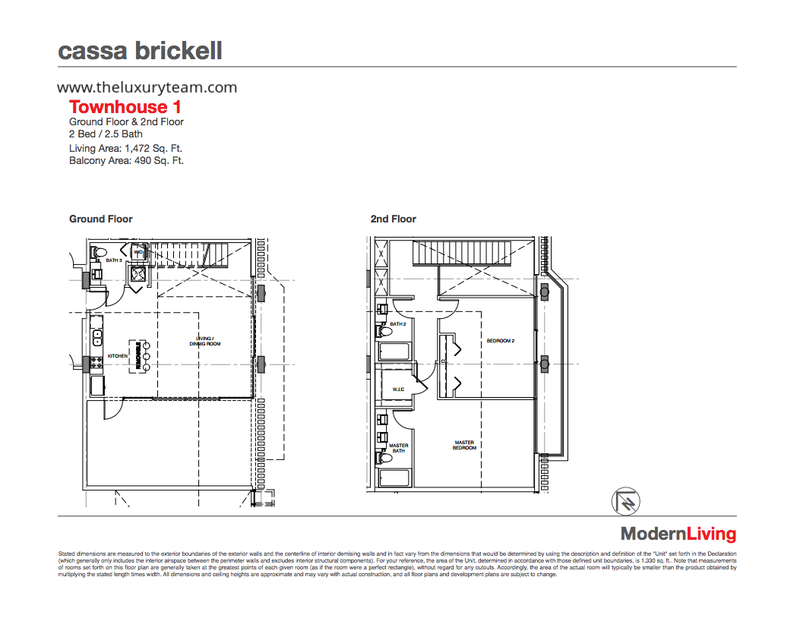 The kitchen will feature designer stainless steel appliances and fixtures. This building features a stunning rooftop pool and sundeck with an outdoor kitchen and herb garden. The entertainment deck also includes a fitness center, multipurpose room, steam room, and DJ Station. The building will feature striking landscaping by designer Simone Stark, who will be available to advise residents using the vegetable garden. Other amenities on the property will include a 24-hour front desk attendant, 24-hour security, and Valet parking. Wi-Fi will be available in all common areas. 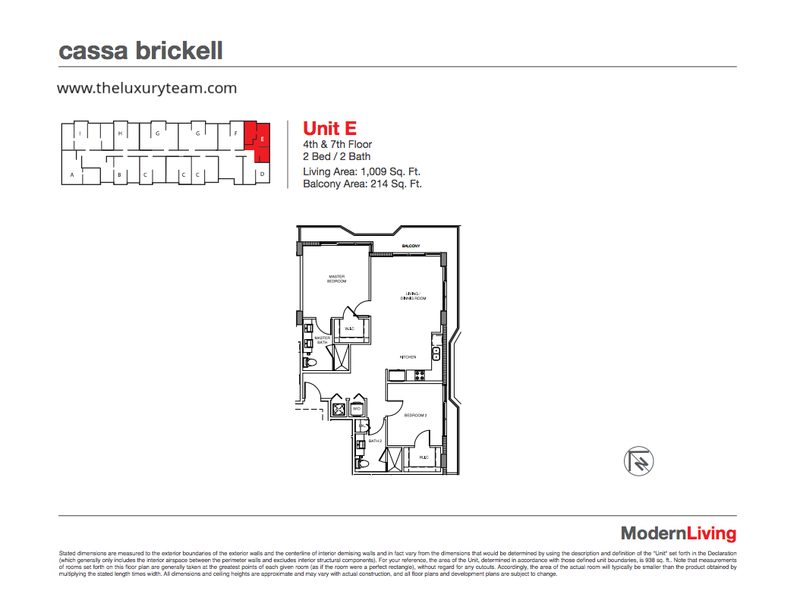 Cassa Brickell in Miami is advertised as an active living community that takes pride in the numerous outdoor activities available to residents. 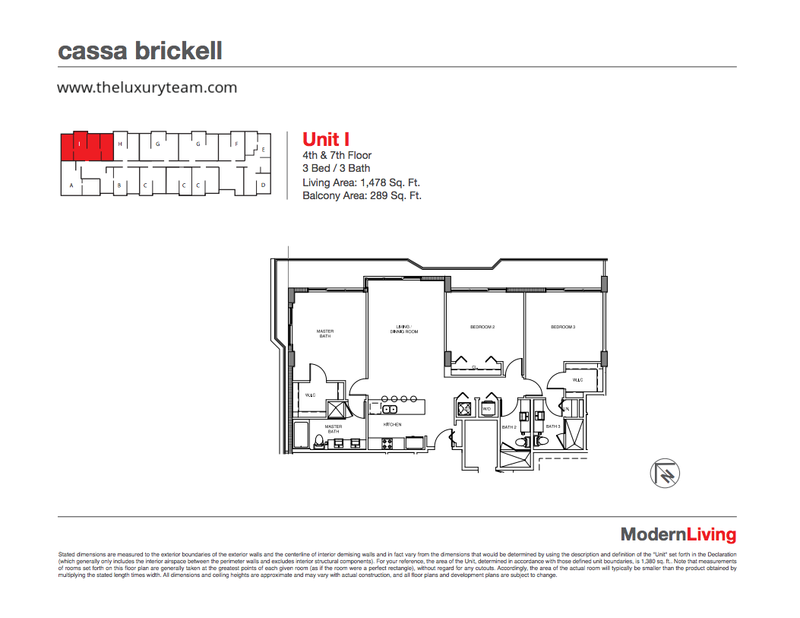 Nearby activities include biking in the Key of Biscayne, running through the bustling neighborhood of Brickell, wakeboarding in Biscayne Bay, fishing in the cape, and more. This popular neighborhood has endless dining, entertainment, and fitness opportunities. There are many Latin-inspired restaurants including the popular PM Steak and Seafood Restaurant as well as db Bistro Monderne. 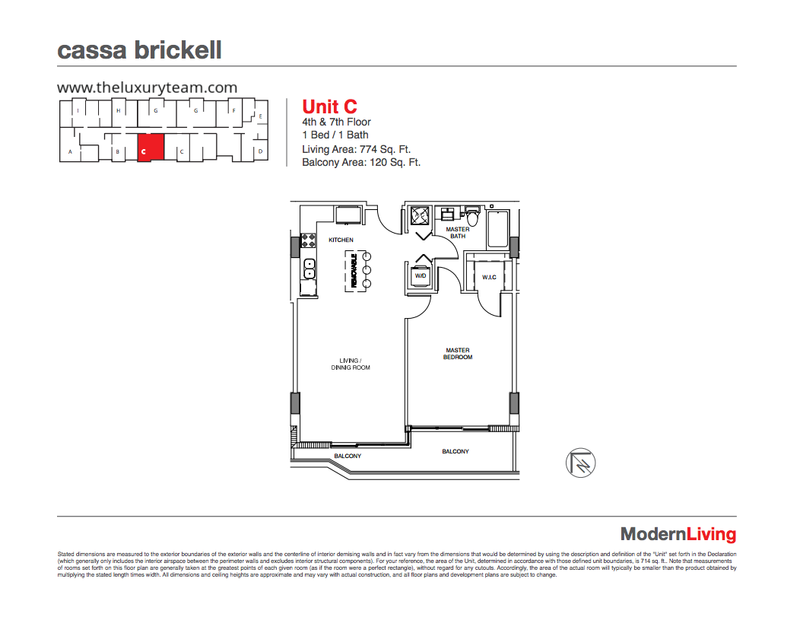 Cassa Brickell is conveniently located close to all the action, but set in a quiet residential corner of the city. 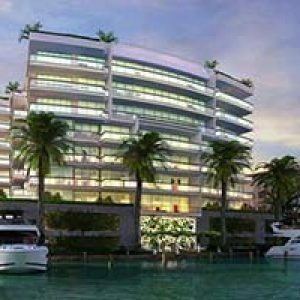 It is close to Miami Beach and Coconut Grove where residents will be able to spend a relaxing day in the sun. 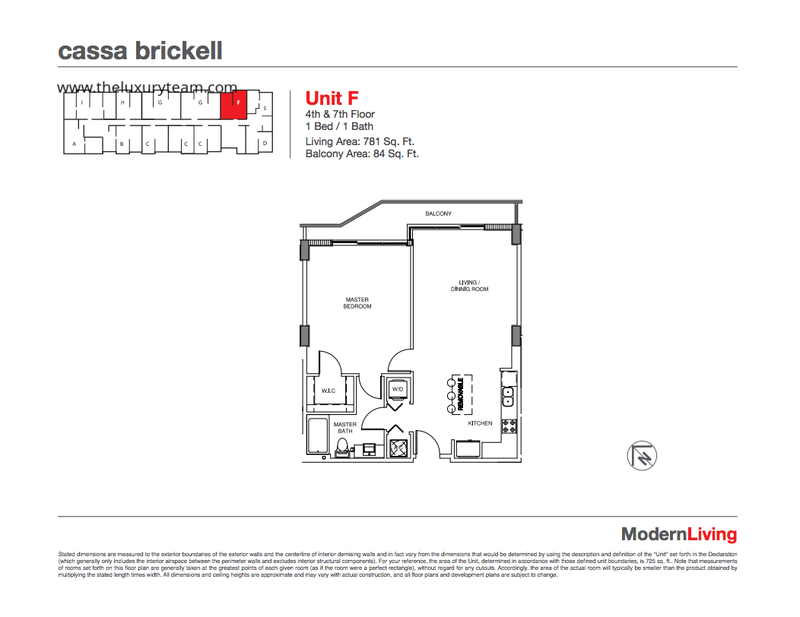 Cassa Brickell will be complete in 2016. 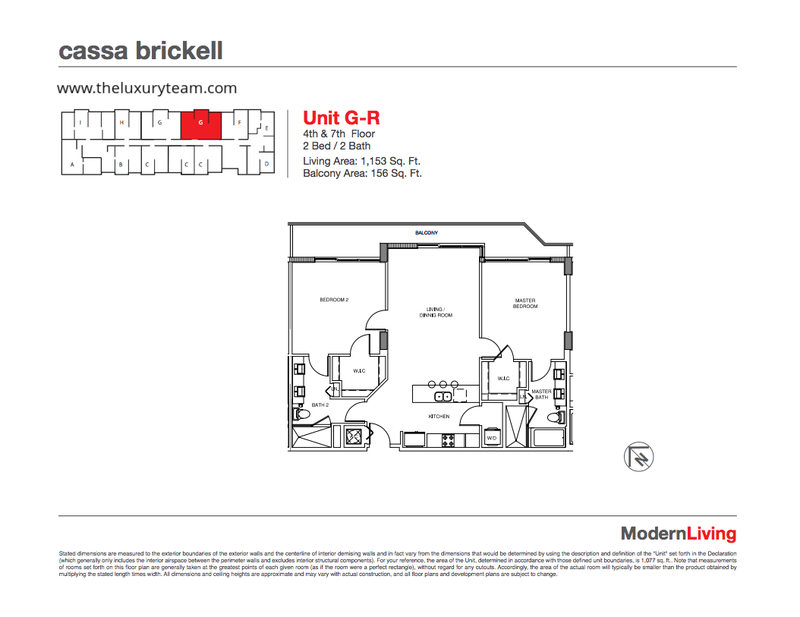 Take the opportunity to be among the first residents to enjoy this luxurious boutique community.